If you are on the search for the top hardwood flooring company Suwanee GA has to offer, you’ve come to the right place. Our experts at Atlanta Floors has a well-earned reputation in the area for being the best at what we do. Get the job done right the first time. Then experience all of the added benefits that come when you work with a professional team that is committed to your satisfaction. Do you have a specific vision in mind for your hardwood floors? Or do you have no idea what you should do with your new installation? Either way, we can help. We love to take your vision and bring it to life. We also enjoy helping our customers sort out their ideas to come up with the best solution to meet their flooring needs. 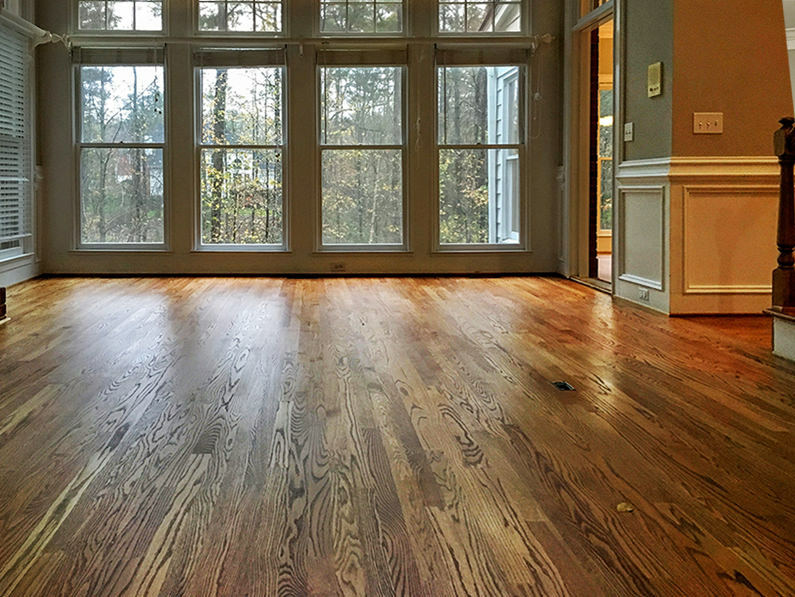 If you are a homeowner or business in Suwanee, GA, looking for hardwood floor refinishing or installation services, call Atlanta Floors. John and his crew were awesome. They worked quickly and their service was amazing. My wood floors came out better than I imagined!!! • Our team members have expertise handling a number of hardwood floor types and installation styles. Whatever you need and whatever your vision, we can provide the premium materials and expert-level service your residential or commercial project requires. • We aren’t a fly-by-night company; we plan to be in the Suwanee, Georgia area for years to come. That’s why we continually educate our team on cutting-edge technology and the latest products. This allows us to ensure we can continue to offer the best solutions for our customers. • While we are always forward-focused in our business, we never want to lose sight of the small things and details that make our full-service hardwood flooring company so unique. • Our services cover any and all hardwood flooring projects. These projects included residential and commercial hardwood floor refinishing, repair and restoration, and installation. From offices, homes and condos to churches, retail stores and basketball courts, we can do it all. Still Have Questions about Suwanee, Georgia Hardwood Flooring Services? Contact our team today to get answers to your questions about the hardwood flooring company Suwanee GA trusts. Connect with us online or give us a call at 404.915.5054 to speak to a hardwood flooring expert now. Contact our team today at (404) 915-5054 to learn more about the hardwood flooring company Suwanee GA has relied on for years.